BCES welcome you to Greenfield Farm, where the Black Cowboy 'Man or Myth' Festival is celebrated annually in the first weekend of May. Each year the festival strives to expand its boundaries to include more of the community as it informs, enlightens, entertain the general public. This year we are proud to announce once again the Black Cowboy Essay Contest!!! We are extending an invitation to your young people to learn of their rich heritage through research and entering this contest. As an idea you might make this a "youth project" that begins with research, continues with writing the essay and ends with a field trip/family outing to Greenfield Farm on Thursday, May 2 and or Saturday May 4, 2019 where they can experiences firsthand the many attributes of the day long festival. The contest is open to students ages 12 -16. The subject of the essay is "Attributes of the African American Cowboy or Frontiersman" and should be written/typed (double spaced, if typed) in at least 800 words or more not to exceed 1000 words, contestants are encourage to research as extensively as they like, and use their imagination as the entries will be judge largely on the contents as well as composition, grammar,etc. Because we are so excited about your youth learning of their heritage and sharing it, we are asking all contestants to be present at the festival to personally read the winning entry after he/she is awarded with a $500 Saving Bond!!! Because we are expecting a great response, some honorable mention entrants may be asked to read theirs also. 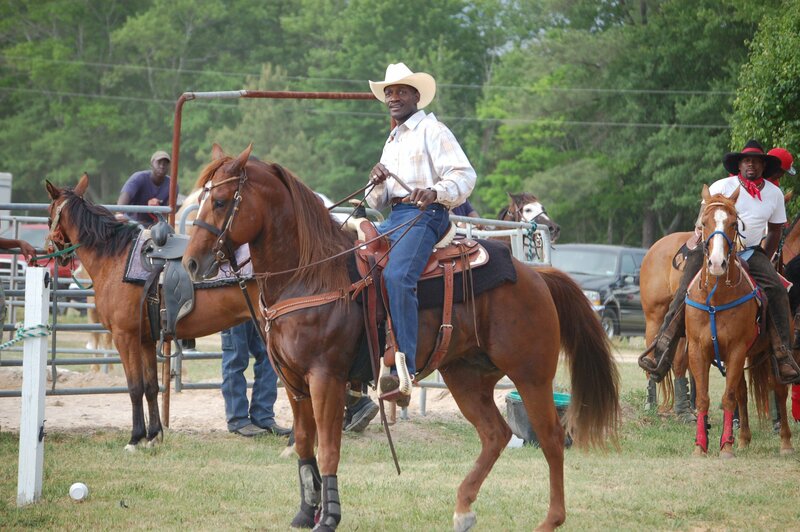 All entries become the property of the Black Cowboy festival and may be put on display. EXPLORE, EXPLORE, EXPLORE!